The Hall provides the perfect setting for a unique and original wedding reception. 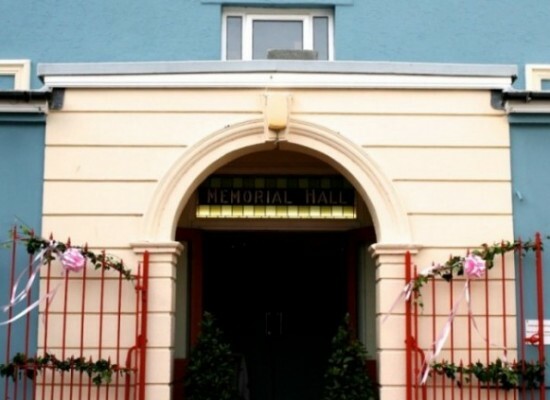 For those on a budget, the Hall is an ideal blank canvas for do-it-yourself and vintage wedding receptions, which are so popular these days. For those with more money to spend, we can point you in the right direction for everything from catering to decoration to photography to music. If you are looking for a beautiful blank canvas in Newport, Pembs, that enables you to create a one-off, tailor made Pembrokeshire wedding reception, then look no further. The Hall is unique in Newport in providing a flexible space that can accommodate anything from a small, intimate reception to a large party. The spacious main hall seats 160 people around tables or 350 standing for an evening buffet. Alternatively, the Garden Rooms provide a ideal location for an smaller gathering. The hire gives you sole use of the Hall from 5pm on the Friday to 5pm on the Sunday so that you have plenty of time to set up and don't have to worry about clearing up after the party on the Saturday night! Your caterers can have access to the fully equipped catering kitchen from 3pm on the Friday until 5pm on the Sunday as part of the hire. There is a large room behind the stage which can be used as a 'green room' or for changing, storage, children’s entertainment and more. There is parking for 8 cars at the front of the Hall and there is a layby on the road opposite the Hall for a further 5 cars. There is are two car parks in Newport which is only a few minutes walk away. The Hall has disabled access throughout including to the garden and free WiFi. The Hall can be decorated to your own style. It looks gorgeous with strings of fairy lights, warm glowing wall lights and bunting. The Hall is fitted with a central disco ball which creates a lovely dappled light. 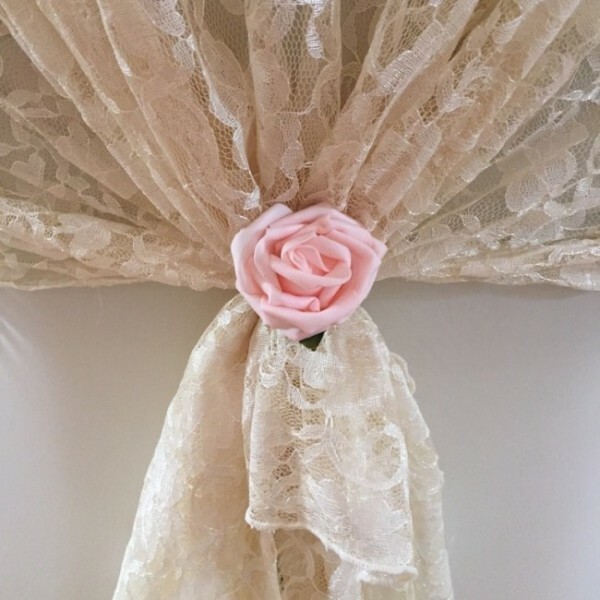 We can help with finding suppliers and decoration. The Hall has a small 400 watt vocal PA system and two wireless microphones included as part of the hire which are ideal for speeches, acoustic sets, background music from an iPod, etc. The stage with it's own stage lighting is great for a band and the Hall is ideal for a ceilidh. We can introduce you to a fantastic range of bands to suit every occasion. For bands, a bigger PA system would be required - we can put you in touch with suppliers. The Hall offers a fully licensed staffed pay bar as part of the hire. If you do wish to have a the bar open for your guests, we ask that you limit the alcohol that you provide free to your guests to wine on the table with a sit down meal and/or a glass on arrival. This is subject to a corkage fee which covers chilling and serving the wine to the table, provision on glasses and disposal of the bottles. The hire includes tables and chairs and you are welcome to use the mismatched crockery and cutlery in the kitchen! Outside is a beautiful walled garden with views out to sea, which is great for spilling out into on warm summer evenings and really lends itself to stunning photographs. The beautiful seaside town of Newport is set in the Pembrokeshire Coast National Park, Britain's only coastal national park, world renowned for its beaches and coastline. The town, founded in around 1197, is steeped in history and has a strong sense of place due to the retention of the medieval layout. The neolithic chambered tomb, Carreg Coetan Arthur, and the medieval castle, which overlooks the town at the top of Market Street, are features of national significance. High up above Newport is Carningli (Angel Mountain) an ancient volcano which was one of the largest Iron Age Hillforts in West Wales. Today Newport is a vibrant town and home to excellent restaurants, cafes and boutique shops. It is unique for a town of its size for the range of services available from the Post Office to the chemist, library and mini market that's open 7am to 11pm and only closes on Christmas Day. We've got a butcher, a baker and even a candlestick maker! St Mary’s Church, a beautiful grade II listed building, is Norman in origin, although considerably reordered, and is spacious, comprising a chancel, nave, twin transepts, porch, rugged 13th century tower and tower vestry. 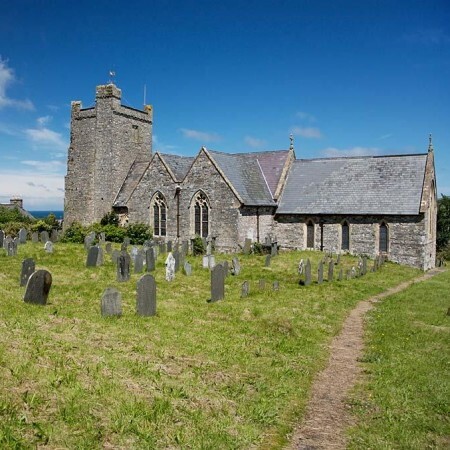 The churchyard is set on a slope and has commanding views of the Nevern estuary and the sea. Being a very popular holiday destination, it is packed full of accommodation from cosy B&Bs to stunning self catering cottages to 4 star hotels. More than enough to cater for all your family and friends. Want to hire the Hall for your perfect wedding reception? All the information about the hall layout, terms and conditions and pricing are below: Fill out the form here and send us an e-mail with your query for hiring the hall. If you've got any questions that need answering pop them into the event info box.